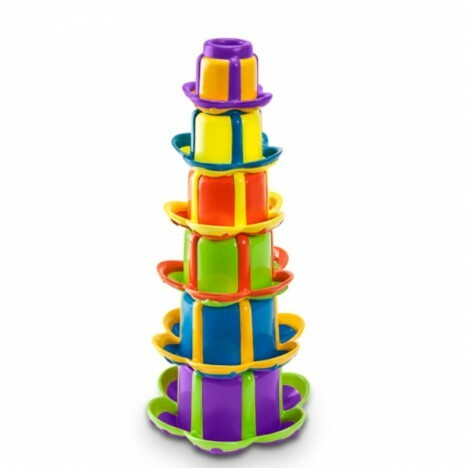 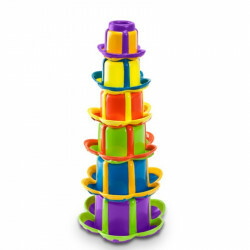 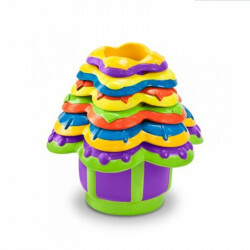 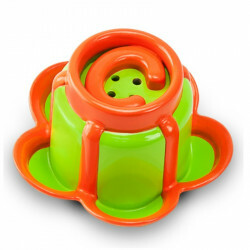 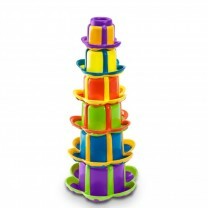 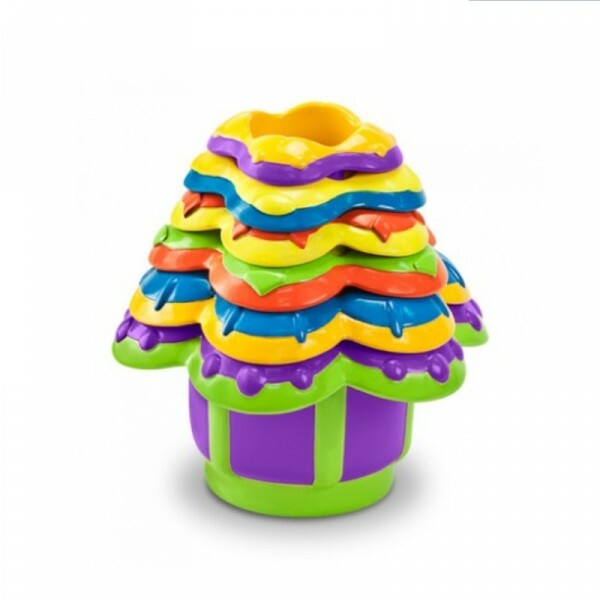 This colorful set includes six flower-shaped cups to stack and fit indefinitely. 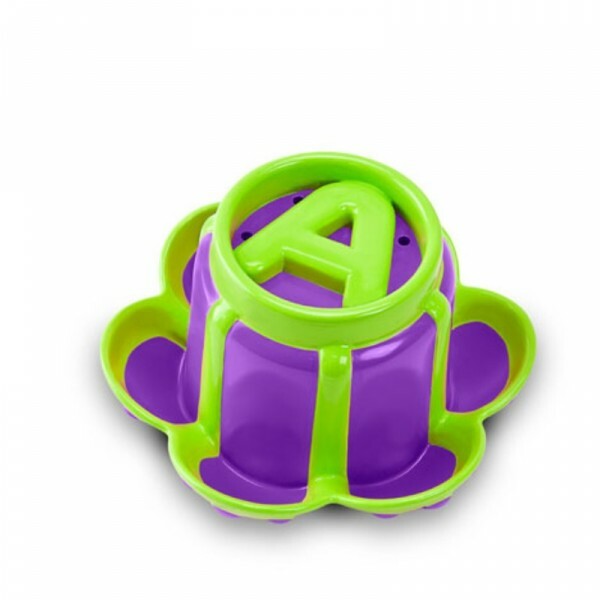 The edges of the cups reproduce the shape of petals in a soft material, ideal to chew on the arrival of the first teeth and / or stimulate the sense of baby's touch. 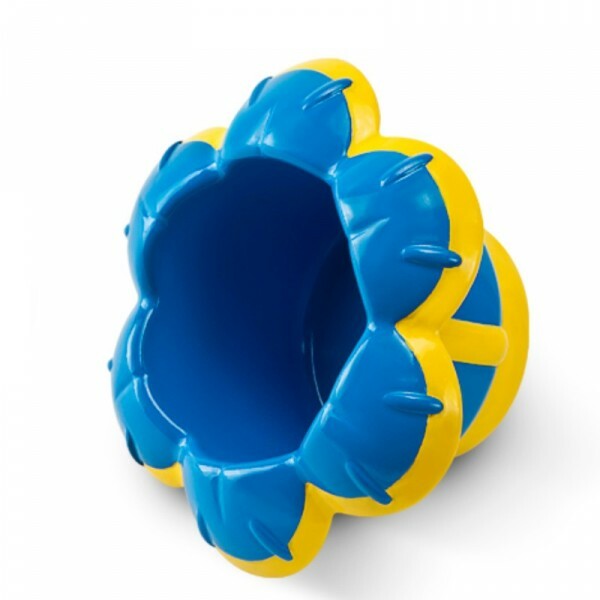 it also presented small holes that will allow watering games in the bath, or transfer the sand. These cups are perfect for indoor as well as outdoor activities, perfect for both sand and water.